Contact us for finest quality Cloves. Our company is an eminent Supplier and Exporter of Cloves from Thailand. The Cloves we make available are sourced from trusted vendors of the market. To cater variegated requirements of buyers, we offer the Cloves in numerous packaging options. 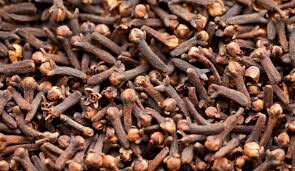 We are capable of delivering bulk orders of the Cloves within stipulated time. Buyers can obtain the Cloves at reasonable rates.